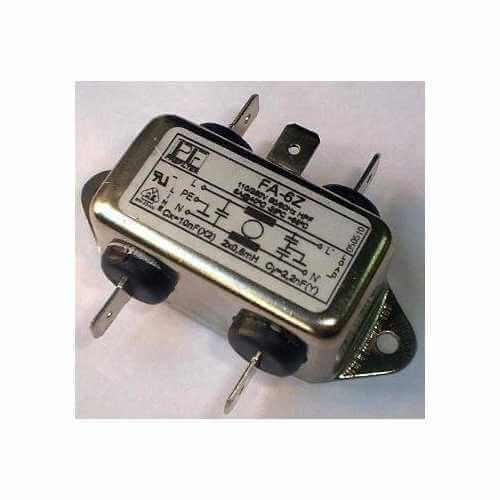 110-230Vac, 50/60Hz, 6A Single Phase EMI Mains Filter designed for use on electrical equipment to reduce any interference induced in to supply line. Ideal for use on light dimmers and motor controllers. Current Rating 6 Amps max.